I stayed at the Hôtel Rouen Cathédrale in Rouen, France. I was a guest of the hotel which was sponsored by the Normandy Tourist Board and the Seine-Maritime Tourist Board. 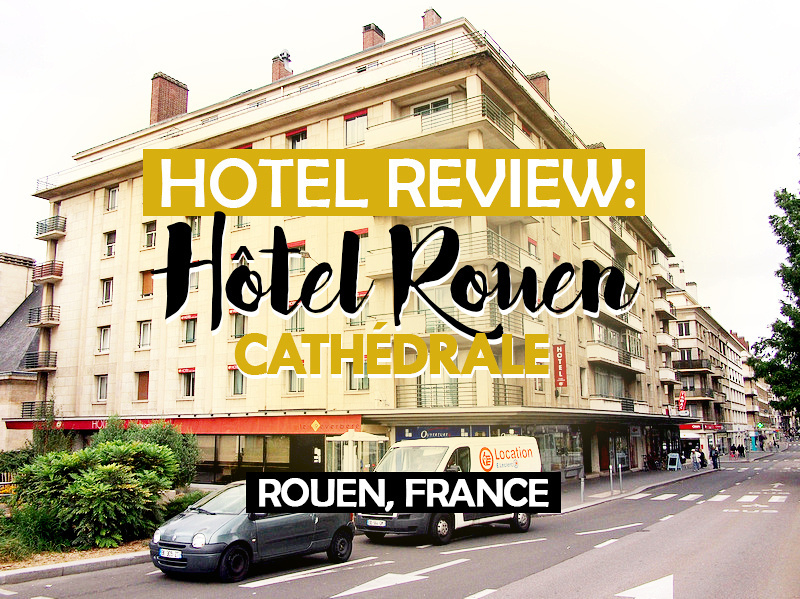 As the name would suggest, the Hôtel Rouen Cathédrale is close to the cathedral (less than five minute walk anyway) and is well located to explore the historic old town of Rouen. The hotel is in a big property on a main street so it is easy to find. For my stay I got a single room. The room itself was small but the furniture has been customised to make the most of the space with a little work desk and wardrobe space that also has a luggage rack. 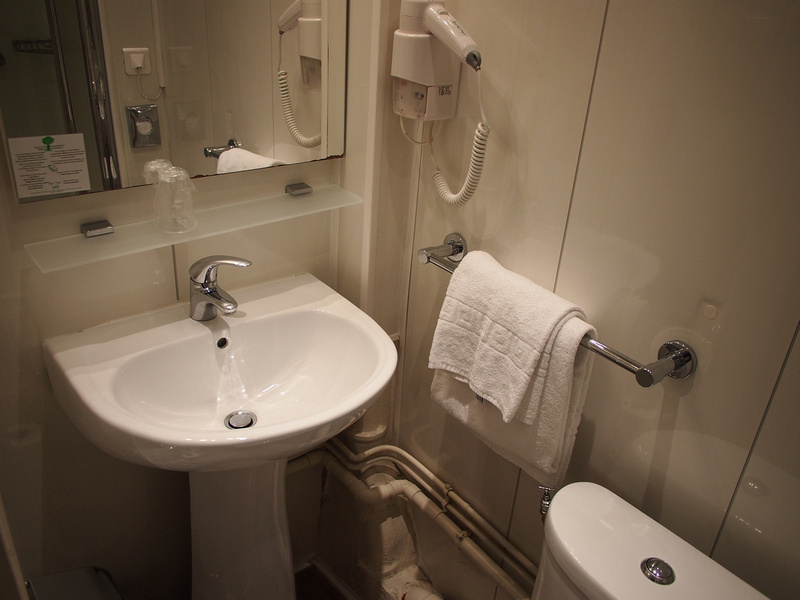 The bathroom was also small, with clean and modern fittings. 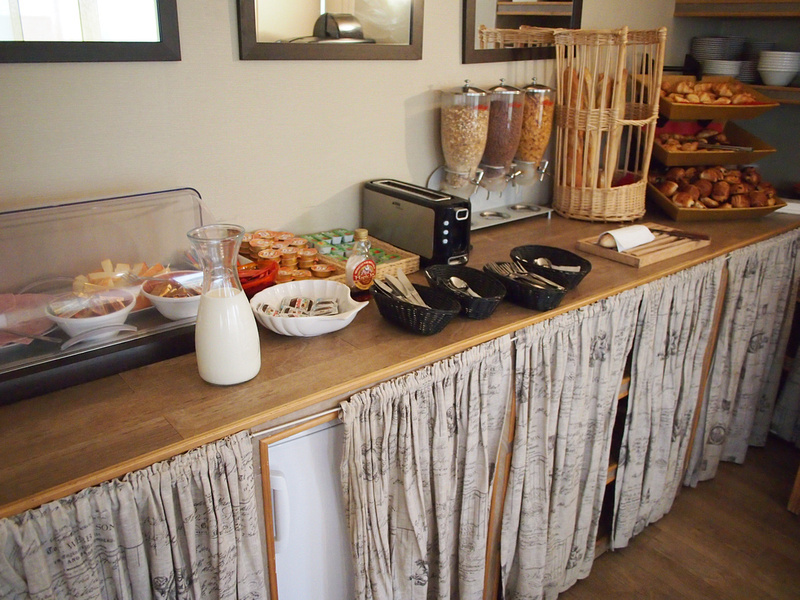 The breakfast buffet was included and has a good selection of bread and pastries, along with the usual cereals and yogurts. The wifi was good throughout the property, and there is free tea and coffee downstairs which had some mini pastries at one point when I checked. 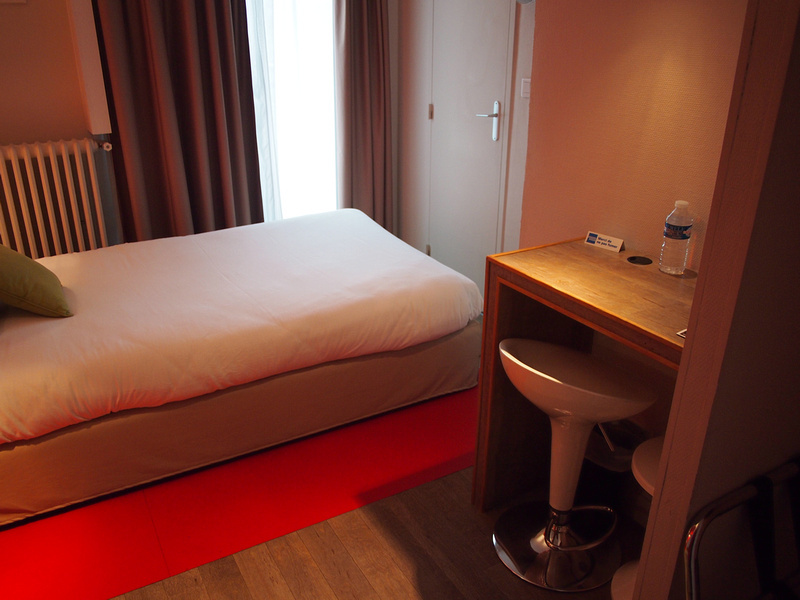 Overall this is a good 3* hotel option in Rouen, with friendly staff and a great location. Hotel Ibis Styles Rouen Centre Cathedrale or search for more hotels in Rouen.